I just got certified as a PRINCE2 Project Management Practitioner last Friday, thanks to my boss who sponsored me ! I took a few notes and gathered some materials during my preparation and I was thinking of sharing these in an article. It may interest a few people, I guess. As for me, I can stop breathing and thinking PRINCE2 intensively for 5 years ..
PRINCE2 or PMP : maybe complementary ? We can see that question on many forums, it is difficult to make a choice, it depends on the companies you work for, their sector, maybe the area too (PMP seems to be more mainstream in North America). But maybe there is no choice to make since we can often read that these certifications can be complementary : PRINCE2 would be a project management method whereas PMP would be about project management competencies and techniques. Well, if you have to choose, maybe take a look at each reference book and see which one suits you the best. I did prepare for the exam all by myself, using the official book as a reference. Reading the book sequencially can be fastidious, wondering if all along the book, you’ll have to absorb so many things ..But as you progress in the book, you realize that concepts are linked to each other, that what you read 50 pages before is merged in the description you are reading now, connections are made, the structure of your knowledge is getting more accurate and stronger. I felt that way especially when I started the processes chapters (after the reading of the themes chapters). Of course, the knowledge is getting even better when you practice samples exams as well and with experience. 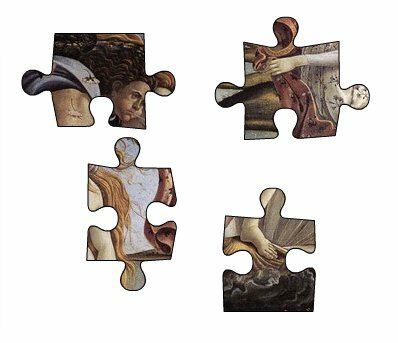 It is like a puzzle, lots of pieces of information, first you spend more time observing them trying to remember them and as you recreate the original picture, you see the links between these pieces and you are getting faster and faster to learn. 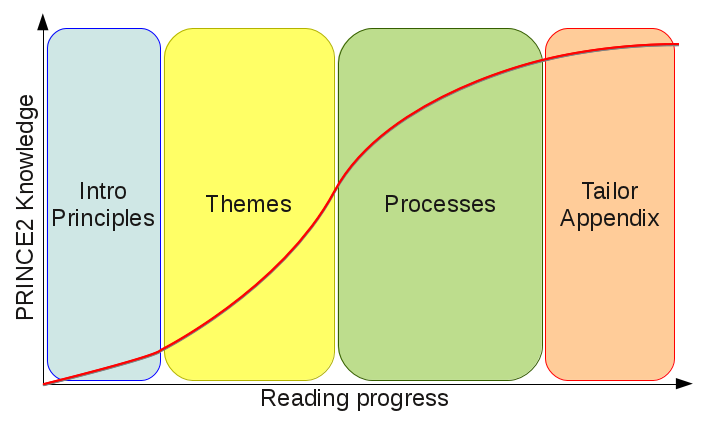 There are not 50 ways of reading a book but I thought it could be efficient to alternate zoom-in zoom-out and ways of getting information, so for example I watched a video about processes (see below) between process chapters. I also used to review the plan of the previous chapter when starting a new one and after reading a chapter, I reviewed its plan again. Mindmapping says that our brain does not handle information lineary but that it is based on relations between pieces of information. So learning PRINCE2 from a linear source such as a book can be very fastidious and not interesting for the brain. You’ll need to feed it with other kind of information sources such as videos, mindmaps, diagrams so it can enjoy and create easily new relations between notions. Try a search on internet to find more resources for each theme or process to get another way to explain things, to find diagrams and videos that will show you things in a different manner, providing a different perspective to your knowledge. You also may consider trying some photo-reading (I wrote an article on peripheral vision but sorry, only in French, you can see the book cover above). Finally, try to make connections between what you read and your experience, your projects, how you manage them, who does what, what’s different, what’s similar. It is a way of remembering more stuff as well. Even fast when it is sent to the other side of the world .. from Great Britain to New-Zealand in 4 days. If you think about sitting for the exam without any « official » training, consider the fees for the book and the exams and see whether there is any online course package for almost the same price or not far, you would also get e-learning material that can help for a little more money. you’ll see what parts of the book you’ll need to access quickly during the exam and would be able to prepare efficient bookmarks (too many post-its can be counter-productive actually). I have mixed feelings about project management certifications. Assurely it can help manage a project, giving best practices and a methodology but I still consider that experience is necessary to be really successful. You may pass the exam and get certified even if you have not managed any project in your life. The job is too complex too be assessed through a multiple-choice questionnaire, it is simplistic. To my mind, the best way for a person to learn project management is in practical situations, coached by a senior project manager. You can read a hundred books on how to ride a bike, when you get on a bike the first time, I am pretty sure you won’t go far. I think it is the same for project management. Note : Marks are based on the usefulness of the videos to pass the exam (not the quality of the training company providing the video). It is not complete courses but it helps to zoom out. Please let me know if there is a dead link. Please have a look at how I manage my time, it may help you as well. Note that there is a newsletter too on http://www.davelitten.com/ which can be interesting to keep focus everyday. Website has also resources, a lot of content on PMP Methodology too, be careful not to mix them .. And Dave is quite responsive by mail, thanks ! Very simple introduction to Prince2 and collaborating organizations promoting Prince2. There was something like 12 additional videos, but links are down, if someone finds it, I would be grateful for the links. You are talking about mindmapping, have you found a good PRINCE2 mindmap by any chance ? John, I’m not sold. And in enquiring of some professional trainers I have time for, they are also adopting a « wait and see what the update, if any, would be ». http://p2weasel.xtreemhost.com/html/files.html : many of the exam papers are against the old (2005) syllabus so they shoud be avoided. http://www.bluecays.com/prince2quick.asp : has a lot more than 25 questions. There are 100 free and another 150 if you pay about £10 (abour 12 euros). Thanks for the tips – Ive got my Practicioner this week. The sample exams are quite hard so I only hope the trainer gets things across in good time. really usefull information….. i am new to this and planning to do Prince2 foundation …. is it possible to do it by selfstudy? if yes, what should be the starting point? which book do you recommend ? Yes it is possible to do it by selfstudy, I prepared the practitioner by myself. Thank you for writing so much for the PRINCE2 exam. I passed the foundation exam last week with 66/70 and all that on this webpage is very helpful and informative. I’m preparing for the practitioner now and hope I’ll have the same luck. Congratulations ! Good luck for the practitioner, I’m sure it will be ok ! Me again. Finally I passed the practitioner last week with 82/108. I would say the final real test was obviously harder than three sample papers I wrote before, but the result was similar though (I got 82,82 and 83 for 3 sample papers). Anyway, I came back quite often to this web page, which has helped me a lot. Thank you! Good job ! Congratulations ! Glad I helped ! 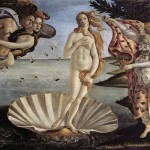 This is an amazing guide! I really am happy I found it before my course next week. There’s just so much to learn in a short space of time – but with your informative guide I’ll try my best. Good luck for your course ! Hi, unfortunately, I couldn’t say because I’ve not tried any of them (except for the free access) but let me know your feedback if you choose one. 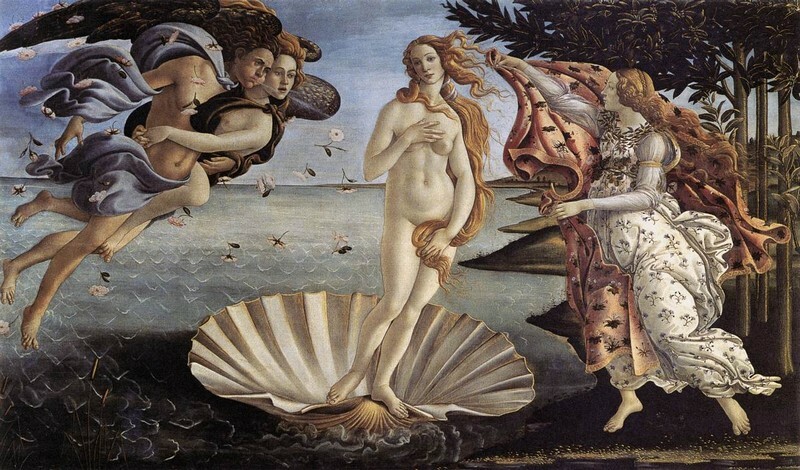 Jean-Philippe, I just wanted to say thank you for this guide. I took and passed my Prince2 Foundation exam today by using the resources you suggested. Thanks JP for all the info provided! I’m preparing the PRICE2 Foundation and straight after the Practitioner’s exams. I was looking for your comments of the book above pictured « PRINCE2 Study Guide » but I don’t seem to find them. I did buy it, but I am also very aware of not-wasting time, so if the book is not much of a help I will not use it. Unfortunately I’ve only heard of that book after I passed the exam, but feedback was positive. So it’s more a suggestion than a recommendation until someone tells me in the comment that they find it genuinely useful. I have one last question regarding the time to prepare these exams. I read that people participate in a one-week course and they leave the premises having performed both exams. Can someone learn the method and perform both exams from scratch in 5 days? How long would you estimate the preparation would/should last? Honestly, I think it’s ambitious to say : « Study for 4 days and pass the exam on the 5th ». One disadvantage I think is that it is only short term memory and you’ll probably forget quickly after the exam .. The duration of the preparation really depends on the person, I know I need time to absorb information for example so studying all day long is not what I like. As an example, it took me 3 weeks, half time during week days, sometimes in the evening when I was brave :-). Hi, just to clarify was it the professional exam that took 3.5 half time weeks or just the foundation level or both? Practitioner exam, which requires to pass the Foundation anyway. How I wish I saw your web site before I took the Prince 2 Practioner (which unfortunately I failed after 4 days of intensive course and exam on the the 5 day!). I can only blame myself, as I went there underestimating the course, silly me. If no one told you the course was demanding, you could not have known, don’t blame yourself too much :-). Don’t wait too much for the re take, you’re right, to keep fresh what you already have in mind. And now you know what it’s like to sit for the exam in terms of questions, difficulty, time management, focus, energy, … So that’s a good advantage. If your score was not a total catastrophe, it should be ok to reach the expected level. If it was, I suggest you start over the learning. Having gone through all the material once, it will be faster than the first time and you’ll remember more things. I want to give practitioner exam with the online option ( give exam from my home ) as there is no exam center in my country. I have a soft copy of the original manual that i have printed as book and it is in a book binder. Can i keep this book in the exam ? I have read that only official manual is allowed in the exam. I have the official manual but in my own version. I am afraid they might disallow me for illegal copy of the Prince 2 manual. Second option is that , i will not use the manual in the Practitioner exam .. Is it required to consult the manual as time is a big issue in this exam. Has anyone tried to give the Practitioner exam without having the official manual with them ? Third option is a painful option of buying the official manual just for the exam and this will be a wastage of resources as i will never use it in my life. I have a beautiful PDF in my iPAD that is so easy to read and access, compared to turning physical bulky book. Please reply me soon as i have very less time to decide ..
Well, with the online option, I guess there’s no way for them to check the material you have during the exam anyway … Just in case, you’ll probably want to check the conditions for the online exam though. Forget the second option, unless you have a (very) very good memory, you won’t be able to check some details for certain questions. Time is a big issue indeed, but as long as you know where to look and find it quickly, it’s preferable to have the manual. Having the soft copy is really an advantage, as the « Find » feature works a lot faster than in the hard copy :-). Thanks JP for the reply. I kept thinking for sometime and then i decided that why to risk the heavy exam fees for something that is doubtful. So i took the bitter sip and ordered the book via Amazon just few minutes back. I followed your article to prepare for the exam and I found it very useful, so thank you for the tips! I actually think I overprepared! I decided to do the same thing and publish my advice and material I used to prepare, for colleagues who ask me. I found these Prince 2 hints very useful and this will definitely assist me with my exam preparations. 1. On December 29th 2014 I ordered the “Managing Successful Projects with Prince2” manual online in Amazon. 3. I read “An Introduction to PRINCE2” by Frank Turley at MPlaza PRINCE2 Practitioner Self-Study site. It was a good reminder of what I had seen during the PRINCE2 Foundation course. 4. 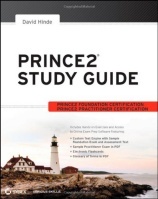 I read “The PRINCE2® Training” at Manual MPlaza PRINCE2 Practitioner Self-Study site. It is a simplified version of the “Managing Successful Projects with Prince2”. 5. I read for the first time “Managing Successful Projects with Prince2”. This is the only help you will have during the exam, so feel free to write, underline and put references between the pages. What I did was in some header put the number of the page where I could find information related to it (for example, in the products described in Appendix A, I would write next to their entry the pages where I could find additional info in the manual). 6. 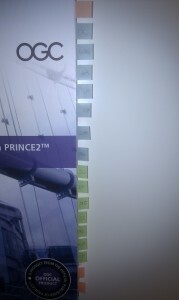 I tabbed the Managing Successful Projects with Prince2 with the tabs found at https://hennyportman.files.wordpress.com/2010/10/prince2-manual-tabs-a4-black.pdf after printing them in sticker paper. 10. The 2 practice exams from the MPlaza are a bit rubbish, but I still took one of them. 11. In the 3 practice exams I scored between 64 and 66. So I felt confident about taking the exam the weekend after. 12. I went online and with the voucher I got from Mplaza I booked my exam at Peoplecert. I had already taken the ITIL Foundation exam at Peoplecert and I believe they have an amazing service. You can book an exam until 4 hours before you take it! I gave myself 6 days between the booking and the exam. During this time, I reread “Managing Successful Projects with Prince2” and I felt ready for the exam. 13. After taking the exam, it is clear that the some of the most important parts of the book are the Appendix A and the Appendix C. In my exam there were a lot of question of Project Assurance. 14. On the day of the exam, I did it at home, with a clear table, with my passport, blank papers, a laptop, the “Managing Successful Projects with Prince2” manual, lots of pens and pencils and a glass of water. After the proctor examined my room, my passport, my blank papers and my official manual through the webcam, the exam started. The book can have tabs and written notes, but you can’t have information in additional printed pages. 15. The Prince2 exam is supposed to be 2:30h, but maybe because I was Spanish, I believe I was given more time? 17. After clicking finish exam, you get the results within few seconds. The proctor has been on mute for a couple of hours, and in my case, after scoring 66/80, he congratulated me. He told me I could take a photo with my cellphone. I went for it, turned it on, took a pic, finished the exam and went out to celebrate! Thank you very much Xavier for that comprehensive feedback, I’m sure it will help a lot of people pass their exam! Is it really allowed in the online exam toprint out the scenario and to use blank writing paper. I was not able to find so far anything in the Terms. Has anyone experience about this. Thanks for an answer. i did the exam online. i didnt have a printer at home, but they offered printing the scenario. Also, I was allowed to have blank paper, which they checked through the webcam. Good luck! at your points are very will valid.. But i noticed this only one day before the exam. But BCS does not allow most of the things I have booked a retake with PEOPLECERT i will also write a details finding once after my exam next week, Hope this way we can help other exam takers too. How do you manage to print the page tab from the pdf, i have tried but its size is coming very small in the paper. Do you create your won or used the same pdf. Also i have not able to find the full A4 sticker paper. Kindly advice. Your Tabbing sheet help me all. I have copy that and reformatted to fit my sticker paper, finally went well for the exam, today i have cleared its my third attempt. This may help before the exam, but also once you are back at work, it’s a PRINCE2 health check which allow you to check you are delivery in accordance to the PRINCE2 methodology, its free to use and located here http://www.totalprogrammecontrol.com . Hope it helps and drives the use of PRINCE2! Hi, can everyone help me out with where to register for the course. i have booked for Prince2 foundation course with theknowledgeacademy twice. Some how they canceled the course both the times. So now iam thinking to do myself. and the take the exam in the prometric center. I find the Foundation is listed but not the next level. But iam fine let me finish the foundation 1st. for this i plan to buy Passing the PRINCE2 examinations Paperback – 31 Jul 2009 is this fine or as you mentioned i need go though Managing Successful Projects with PRINCE2: 2009 Edition. You need the same book for both exams, it’s just that the practitioner has trickier questions. ok.. Thanks for a quick reply ..
as you have mentioned iam planning for online course with theknowledgeacademy itself. They said exam with be online, is that certificate is valid. and in prometric iam able to see only foundation alone. I have done with the foundation today scuessfully but I was not able to and nearly 15 questions. Now my concern that I need to avoid this in practicener. any tips for me. Keep studying Ashok, Foundation should be easy to pass if you’re aiming at the Practioner ! Iam able to understand the concept now but not able manage the Time. as per your advice in this post iam doing this with a online instructor course only. I thought I will at least will be able to answer all but it turnaround. Now iam more concern, I have the next exam on next wednesday. Do you this is this is sufficient enough. I have lost in Practitioner but plan to retake next Wednesday. This time in PEOPLECERT because they offer taking print out scenario booklet during exam. Due you have suggestion. Thanks for your article, initially i planned to do only foundation later planned for Practitioner. Thats where you article guide me take a online course which help me a lot to this success. Printing the scenario is the best way to clear the exam, but BCS doesn’t allow this. This way people cert it good. First thing first, your comment section is very helpful to give direction of my research. But i want to ask i orderded « Prince2 for bigginers » and i am going to order « Passing Prince2 official book ». So what do u think this two books and free online videos r enough to pass both exam or lecture course is nessesary to pass. And do i have to prepare £64 one Managing project official prince2 book. it’s really a matter of self discipline and autonomous learning. It’s really possible with a few resources to pass the exam (If I did it, you can). And yes you need Managing project Official Prince2 Book to prepare the exam. I plan to take up the practitoner test in a weeks time. I have read about the different views of using the official manual “Managing Successful Projects with Prince2” during the test. Since I am planning to take the test online, through Peoplecert I am exploring the option of using a computer based version of the official manual as a PDF open on my system. My logic is, since the pdf file will be open on the same computer I take the online test, it becomes easier for the procter to monitor. Needless to say a PDF is much easier to search. Anyone here has any experience taking the online Peoplecert P2 Practitioner test with the softcopy or PDF version of the “Managing Successful Projects with Prince2”?? I don’t think that with the online test you can change the window you’re on, which means that you cannot have a PDF file open on the same system. As far as I’ve understood, the screen is locked on the exam and that’s all you can do. I agree though, looking through a PDF is far easier than a hardcopy .. I was out of track for last 2 months but i am back with more confidence to pass Prince 2. i have read through Prince 2 bigginers and i started to read the Passing Prince 2 official book and and watching free videos and resources and after that i will give foundation exam. so I want to ask that would it be enough to pass foundation exam?? or i have to go through Managing projrct official Prince2 book. I would be you, I’ll go through the official book. Foundation is quite easy compared to practitioner but that doesn’t mean you can skip reading the book. Thank you, JP! Your information helped me a lot!